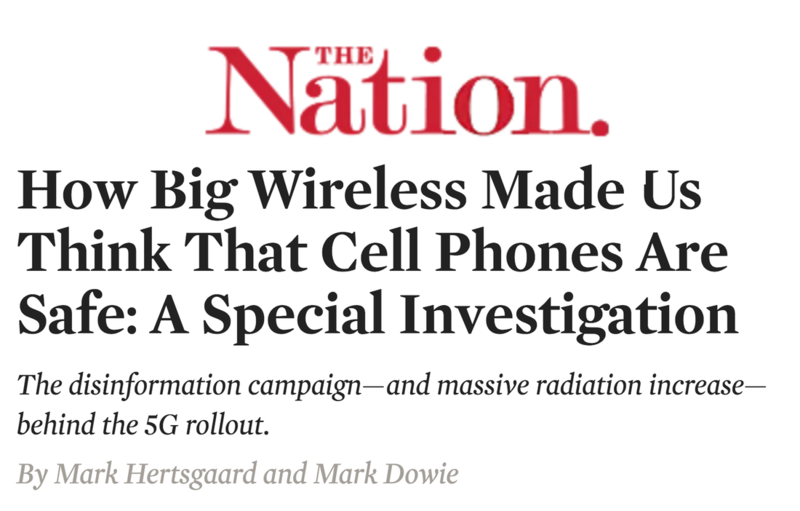 The relentless build-out of infrastructure to support wireless technology brings with it issues related to the health impacts of chronic, involuntary exposures. Is the implementation of 4G/5G densification really necessary? Do the benefits outweigh the known safety, privacy and property value hazards created by the wireless infrastructure? How desperately do we need self-driving cars, anyway? Using established scientific methods, the prestigious Ramazzini Institute in Italy examined the impact of exposure to typical levels of RF radiation emitted by wireless antennas mounted on cell towers. Here is the study. You can also watch a video explaining the methodology for the study. Scientific literature regarding 5G telecommunications. Scientific and policy news regarding the health effects of electromagnetic radiation exposure. Many organizations operate nationally while others focus primarily on local issues. This listing is for identification purposes only and does not imply geographical limitations. Find out where the cell towers are in your neighborhood. This video can be customized for your state or city. Contact Grassroots Environmental Education for more information. Watch video clips of communities fighting back against cell towers. The information on this site is not intended or implied to be a substitute for professional medical advice, diagnosis or treatment. All content, including text, graphics, images and information, contained on or available through this web site is for general information purposes only. Visitors are encouraged to confirm any information obtained from or through this web site with other sources, and review all information regarding any medical condition or treatment with your physician.